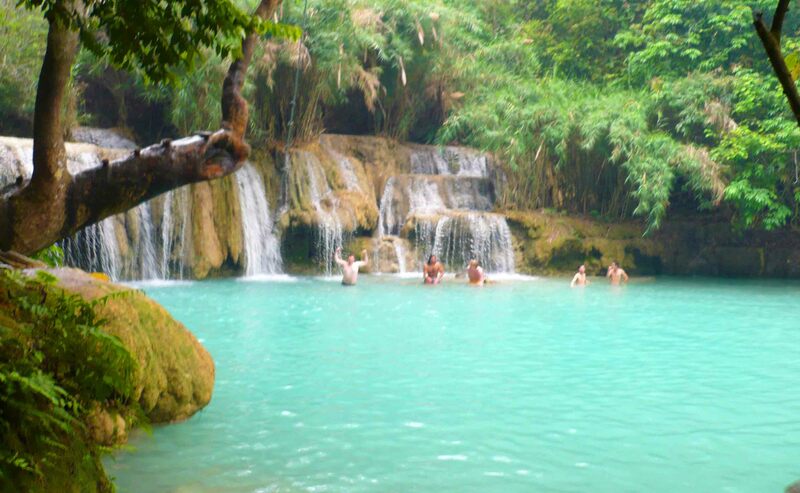 Ahhh beautiful Laos. Gentle Laos. Kind Laos. Of a similar size to neighbours Thailand and Vietnam, Laos has only a fraction of their populations at somewhere around 6.8 million people. This makes Laos a country with far more space per person. So it’s the perfect place to get away from the hustle and bustle of the big cities like Hanoi, Ho Chi Minh City and Bangkok. Even the capital Vientiane is a pretty laid back place in comparison, but nothing can quite top the sleepy town in the north – well it’s really kinda central to be honest – Luang Prabang. 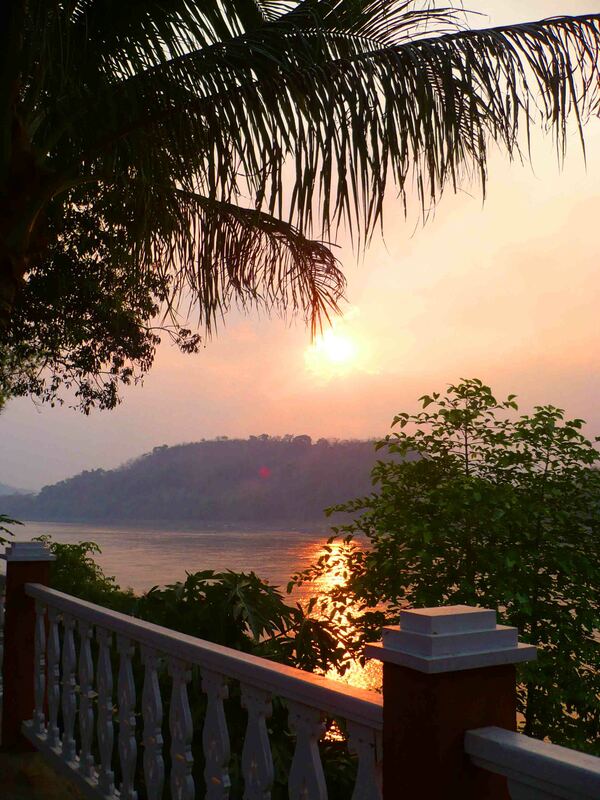 On the banks of the mighty Mekong River, Luang Prabang was my first taste of Laos. 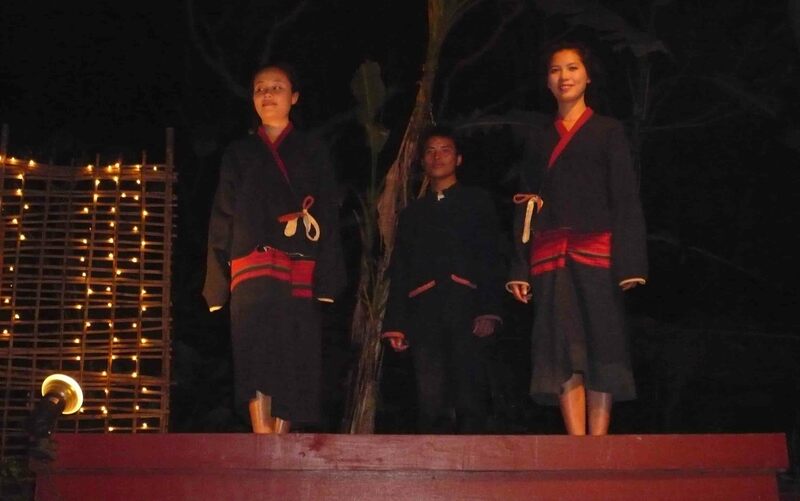 I moved northwards up Vietnam to Hanoi and flew from there to Luang Prabang getting in at around 10.30pm. It was still steamy hot, being late March, with a small airport and I seemed to be on the only flight in for some time as we were the only passengers going through the airport. So it’s an easy airport to go through – as long as you have the right money for the Lao visa – US dollars are definitely best. I was taken to my guesthouse, a friendly family-run affair which I shall review one day even if it was a few years back now (2011) and I was comfortable in my room with air conditioning and pretty much unused (by me) TV set. 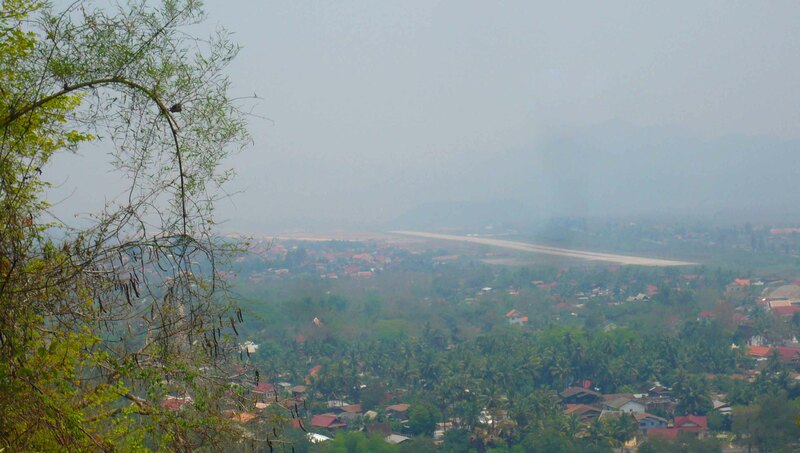 View from the hill over Luang Prabang. The next day I had a drink at one of the many restaurants by the river, had a massage in a great place along the main drag (not very big), climbed a hill for a great view and in the evening met some people and we went to a Lao fashion show and then out to a Lao BBQ restaurant where we cooked our own meat under the moon. Afterwards we were approached to buy some drugs by a guy on the street. Maybe twice even. We politely said ‘no thanks’. So you won’t be immune from that in Laos, there is definitely a sub-culture around drugs with expats and foreigners in Laos as much as the neighbours. The Lonely Planet actually offered advice as to how to avoid going to jail if caught with drugs. Yes, it involved bribes. But for me, that was the only exposure I had to drugs when I was in Laos. The streets are so sleepy, you walk around at half pace and just enjoy the vibe. In March it’s pretty hot, which I’m not a fan of, but there is a wonderful waterfall and lagoon that guesthouses run ‘tours’ to and that was the best way imaginable to cool down one afternoon. 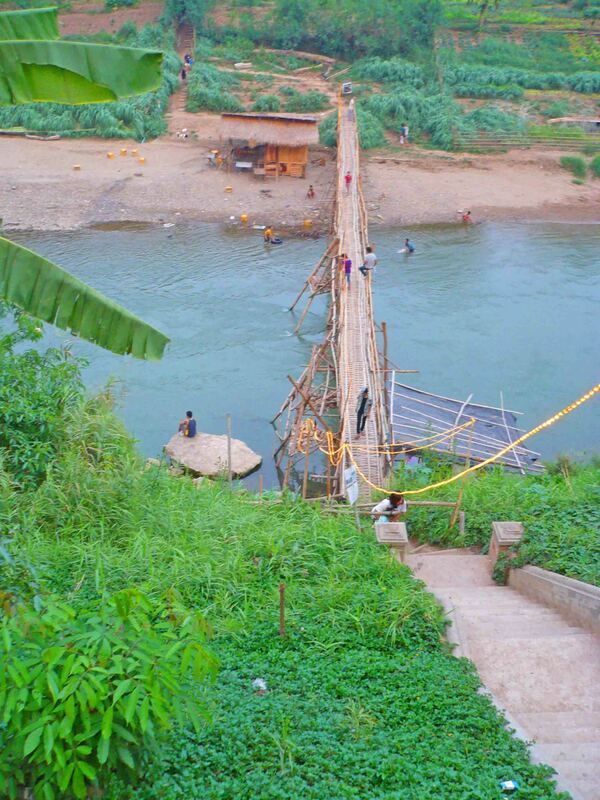 Awesome bridge in Luang Prabang. There are also plenty of temples to explore and paths and little bridges. It would be perfect for a couple of weeks of ‘me time’ if it was just a bit cooler – which it is in December/January. The only downside would be that at that time the place really fills up with tourists. As it was I could choose whatever restaurant I liked, sit down and write in my diary and enjoy the space. Restaurants still have a few patrons, but they are not overflowing. 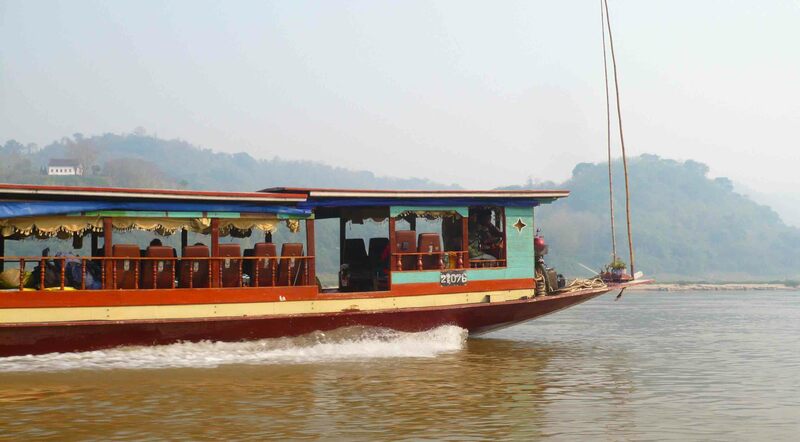 Then there is the Mekong River, and I took a half-day tour up that to see some rock caves and visit a village or two. Bother were nice, but just being on the river on the boat was the highlight, the river itself had a very cooling effect! Kuang Si Waterfalls. Awesome to swim below. That IS me holding my arms up. So. As a first taste, as far as I was concerned, it was PERFECT. It’s a town, it’s not too remote so there are all the services you need and plenty of places to eat and things to do. But the vibe is so perfectly pitched that you automatically feel relaxed and in the groove. I’m now of an age and mind that I probably prefer early nights. I didn’t hear any partying from my guesthouse, but there certainly are places to go should you want to. You will almost certainly be offered certain substances. And be careful if playing pool – I played against a very serious guy (Lao) who when my shirt brushed a ball declared a foul straight away. 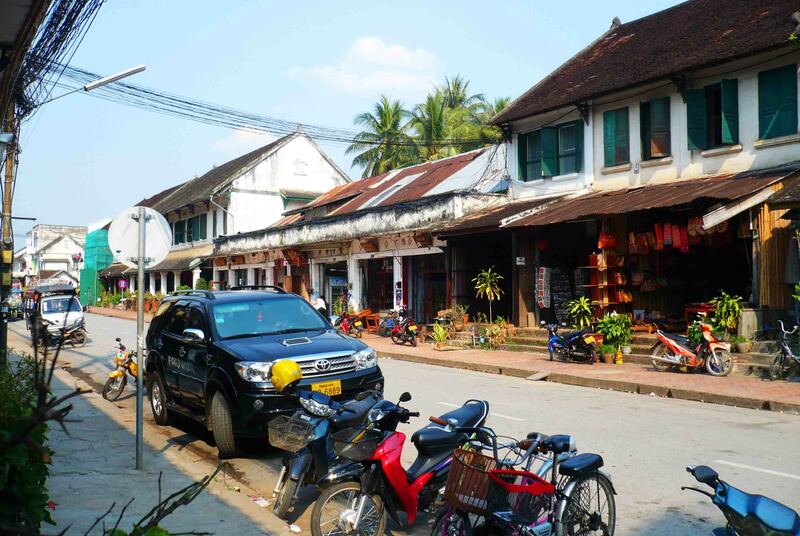 Main street of Luang Prabang. It’s a great little part of the Earth we live on. It’s friendly, laid back, with plenty of options. Have you been? What were your impressions? Please comment! May the Journey Never End! 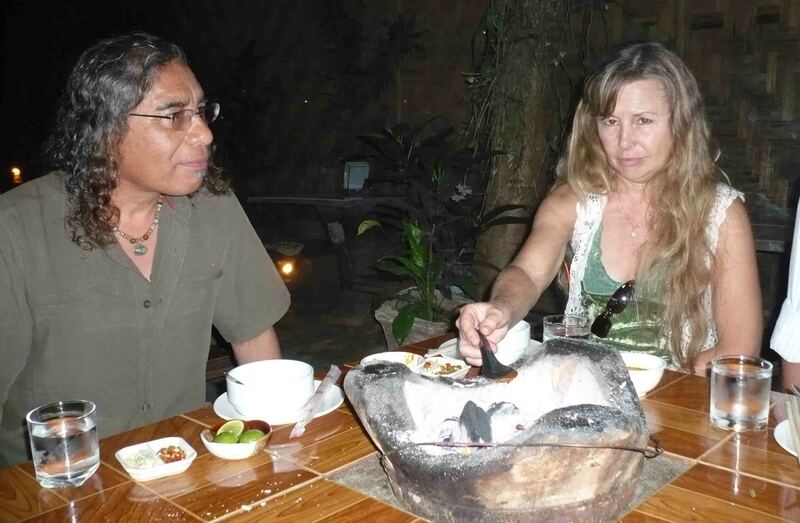 Previous Travel bloggers – Agness and Cez from Etramping! It’s one of my favourite spots in all of SE Asia. If not number one! loved it. thanks for stopping by Shelley! 🙂 Luang Prabang is amazing! thanks for reading! 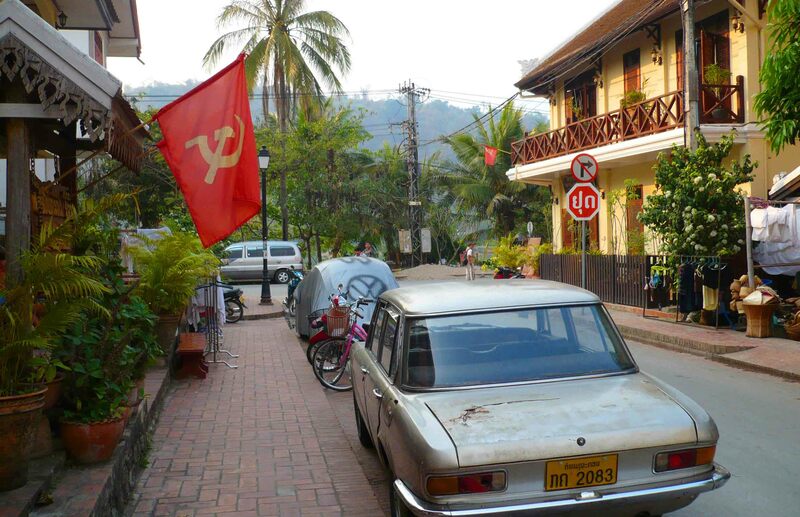 Luang Prabang looks lovely – it looks like a chilled out version of other SE Asian places I’ve been. thats a pretty spot on assessment IMO!